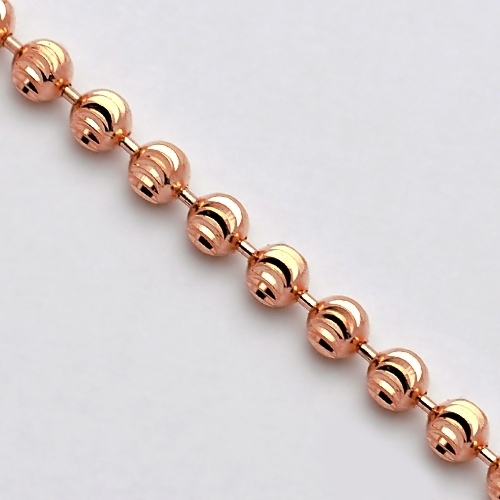 A fresh alternative to traditional look, our moon cut bead army chain is an indispensable piece! It is expertly handcrafted in unique 14k rose gold, and features moon cut design for elegant brilliance! 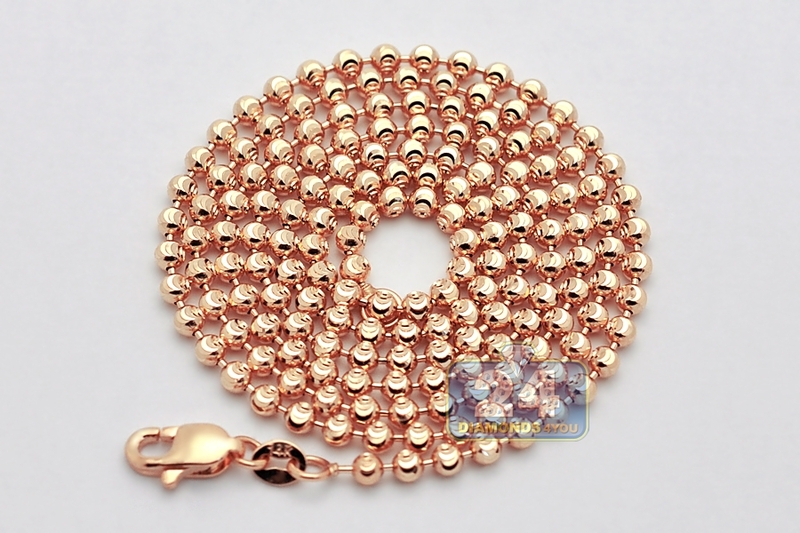 The rose gold necklace measures 2.5 mm in width, and available in 20, 22, 24, 26, 28, 30 or 32 inches in length. It's closed by a classic lobster claw clasp. 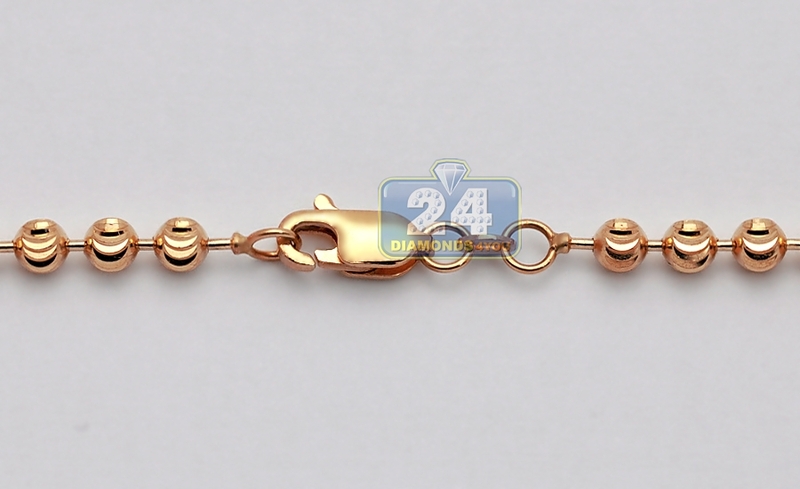 This men's solid gold chain is always a stylish choice for any occasion!